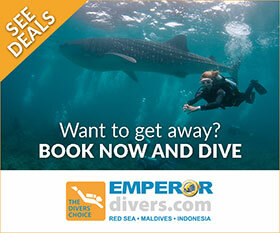 Free stay & dive packages for group leaders, best available rates on diving, up to 60% off hotel rates, combo-options Riviera Maya & Cozumel to experience the highlights of the Yucatan peninsula like Cenotes, diving with bull sharks and at Cozumel´s famous drop off´s, whale shark & sailfish safaris, free Nitrox at all our locations, and much more! Let our specialists tailor hassle-free dive vacations for your FAMILY, GROUP or CLUB in our diver’s paradise Mexico! Every 6th DIVER gets a FREE DIVE PACKAGE in Sep/ Oct 2016 & 2017!! 1 CHILD (0-12) STAYS FREE in room with 1-2 adults: On request for selected hotels and at selected dates only. Please check details with us! Additional discounts might be available! Request your proposal from our experienced group specialists today, who are excited to create some memorable dive vacations for your group! The team of Pro Dive International is looking forward to welcoming you! Renowned for excellent quality in providing world-class diving experiences in the CENOTES, with BULL SHARKS, at WRECKS & FAMOUS WALLS in COZUMEL, SAONA, CATALINA islands and CAYO LEVANTADO, Safaris with WHALE SHARKS, SAILFISH & HUMPBACK WHALES, LIVE-ABOARD adventures with AGGRESSOR FLEET/ SILVER BANK and NAUTILUS EXPLORER/ SOCORRO & GUADALUPE, and visits to world heritage sites, Pro Dive International is the official onsite watersports provider for coveted 4-5* RESORTS along the RIVIERA MAYA & COZUMEL/ MEXICO, and in the DOMINICAN REPUBLIC. Their PADI 5* CDC belongs to the leading training facilities in the Caribbean.